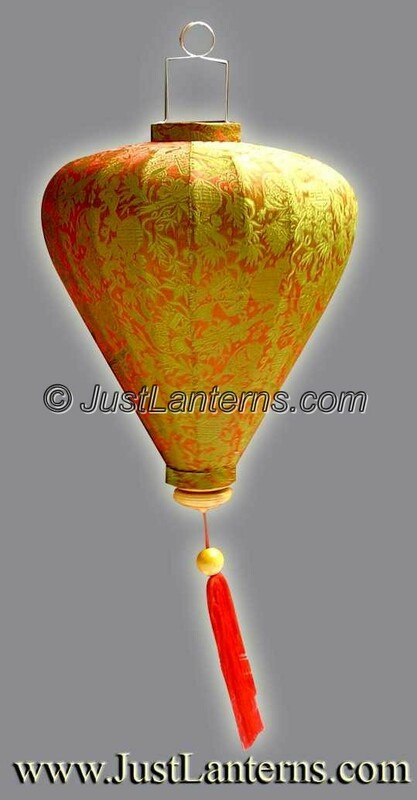 These interesting lanterns have two colors: red when you look up and green when you look down. The green patterns are woven on the soft red silk to create this magical color. The color will change with the light. It is the cool feature that only real silk material can have.